Last year, Kybele and East Meets West Foundation/Breath of Life began working together on raising the capacity of Ridge Regional Hospital in Accra, Ghana to reduce newborn mortality there. The Breath of Life program addresses the issue of infant mortality in Asia and Africa by donating appropriate neonatal medical equipment to hospitals, integrating those technologies into the existing medical system, working with the local health authorities to increase the capacity for newborn care and training medical staff in hospitals. But the partnership does not begin and end there. Breath of Life’s experience working with hospitals in 10 developing countries means that it knows what works in low resource environments. That experience has led BOL to donate appropriate equipment that does not require expensive consumables, is robust and is easy to learn how to use. Breath of Life is also attuned to the problems associated with adapting equipment to existing utility systems or the setting up sustainable repairing and servicing regimes. The combination of BOL’s expertise and Kybele’s long experience and relationship with Ridge Regional Hospital and the health authorities in Ghana as well as its expertise and knowledge on the clinical side, has made for real synergy between the organizations in Ghana. On the one hand, Kybele does not have to worry about equipment breaking down or running out of consumables; on the other, Breath of Life does not have to worry about skills atrophying because Kybele volunteers continue to mentor existing staff members several times a year and are providing hand-picked staff members the opportunity to spend a few weeks in a NICU in the USA alongside trainers who have experience in low-resource environments. An estimated 55,000 babies are treated each year with technologies provided by the Breath of Life program, which operates in eight countries in Asia, three countries in West Africa and soon three countries in East Africa. In Ghana, Breath of Life is working with four hospitals, including Ridge Regional Hospital. Breath of Life representatives said they would very much welcome the opportunity to work with Kybele on more hospitals in Ghana in the future, subject to the availability of funding. Breath of Life is a hospital-based newborn care program run by East Meets West Foundation. It has had a strategic partnership in place for many years with MTTS, a private company based in Vietnam. 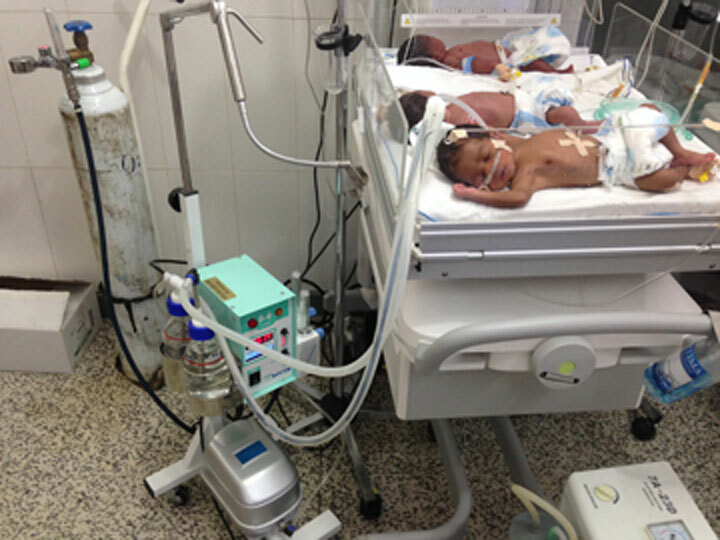 In addition to estimating the newborn care requirements of hospitals and providing equipment, Breath of Life also manages all aspects of raising capacity of newborn care in hospitals, from the logistics, installation of equipment and training of local technicians to monitoring equipment and outcomes and advising hospitals and partners regarding on enhancing newborn care in a public hospitals. 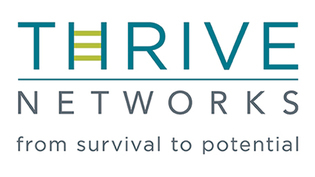 East Meets West Foundation (soon to be renamed Thrive Networks) is headquartered in Oakland, Calif., and concentrates on providing innovative and cost-effective solutions to development problems mainly in the health and education sectors. Problems addressed include high newborn and infant mortality, congenital heart defects, lack of access to clean water and sanitation, nutrition and poor educational outcomes for low-income students. East Meets West is registered as an NGO in Ghana and has signed a five-year Memorandum of Understanding with the Ghana Minister of Health. MTTS (Medical Technology Transfer and Services) specializes in adopting Western medical solutions to the requirements of hospitals in developing countries, especially in the area of newborn care. The company provides custom-designed, low-cost equipment to hospitals and targeted training to bio-medical technicians and engineers.